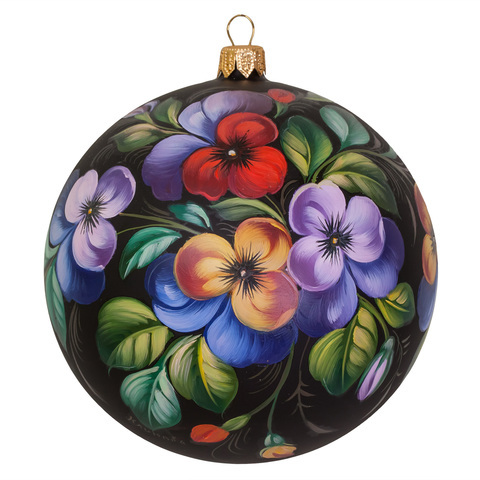 The Zhostovo artists have long been known for their ability to capture the beauty of nature! 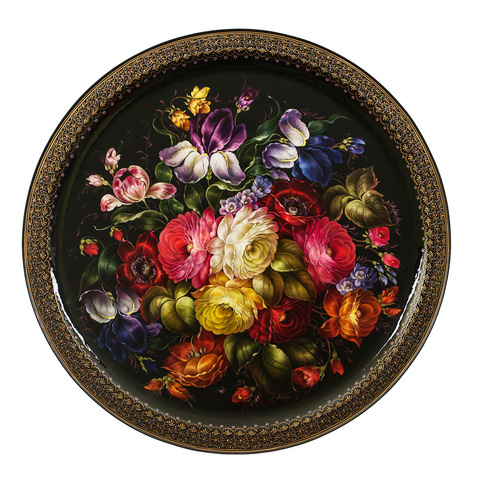 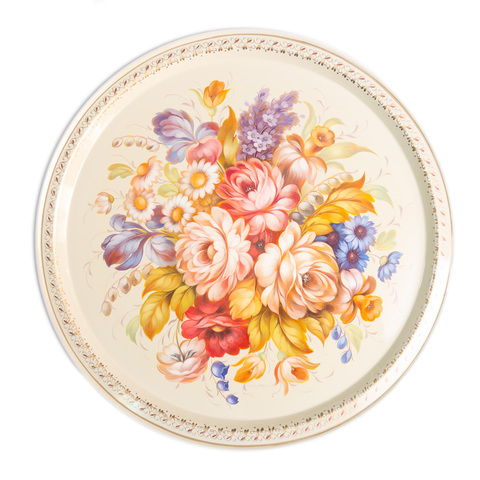 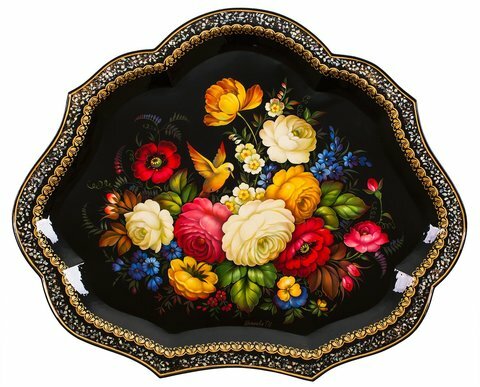 Since the beginning of the 19th century they carefully keep the secrets of the world’s famous Zhostovo painted trays and pass them to the next generations of painters. 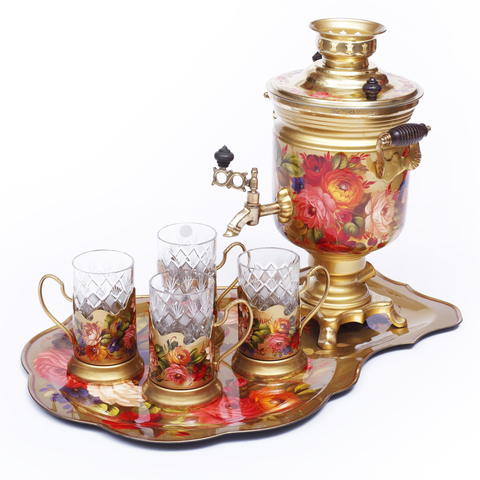 The history of the craft dates back to 1825 when the Vishnyakov brothers opened first workshops in several villages around Moscow. 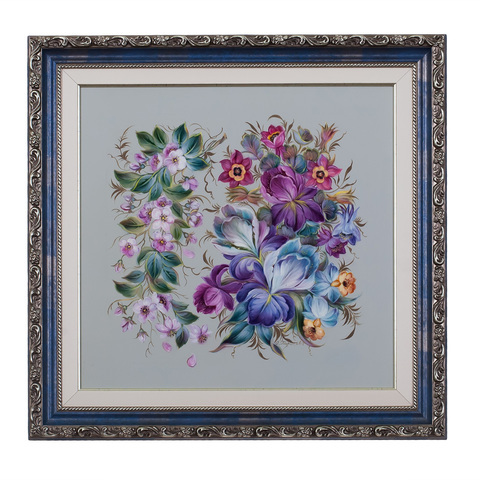 During the years that followed the Zhostovo artwork gained huge popularity. 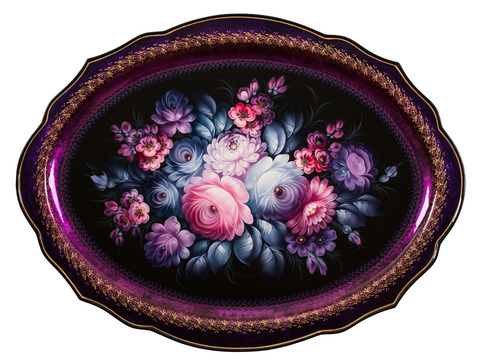 Art lovers bought the trays decorated with Zhostovo’s signature patters for their collections of Russian folk art; the nobility fleeing Russia after the Revolution took the trays with them as a reminder of the homeland; in the Soviet Union Zhostovo trays were used as both decorative accessories in interior design and for utilitarian purposes as tableware during festive tea parties. 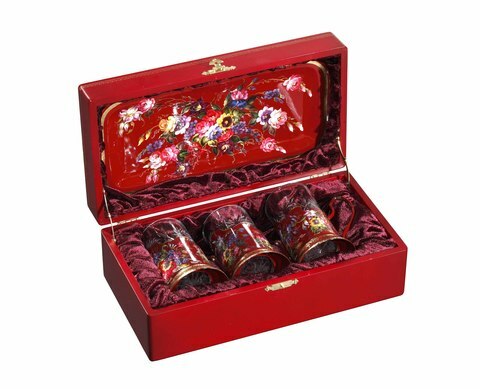 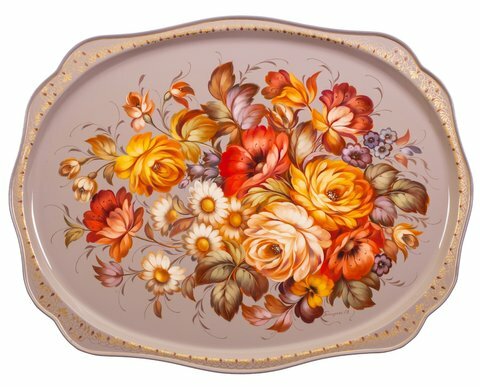 Today to own a Zhostovo tray means to own an authentic piece of the Russian folk history – an artwork which is as enchanting as a fairy tale where a flower petal creates magic and good always triumphs over evil. 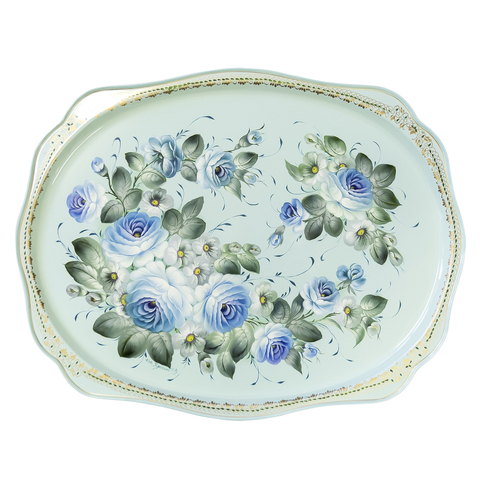 Take a closer look at any one of our trays! 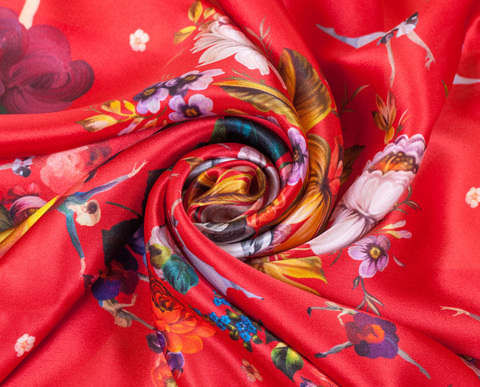 You can see how the flower compositions under a layer of transparent varnish come alive as if trying to meet the sunrays or the eyes of an interested viewer … Red berries of rowan are flaming and a bullfinch can fly away at any moment. 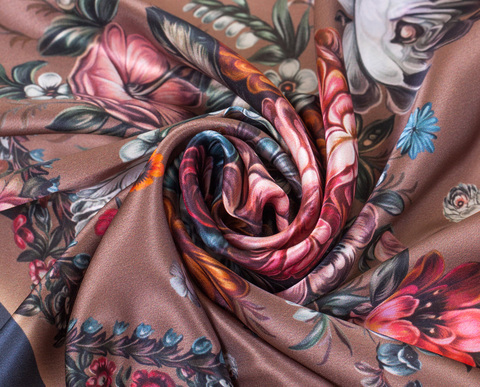 Such realistic and at the same time magical effect is produced by special oil painting techniques mastered by the Zhostovo artists to perfection. 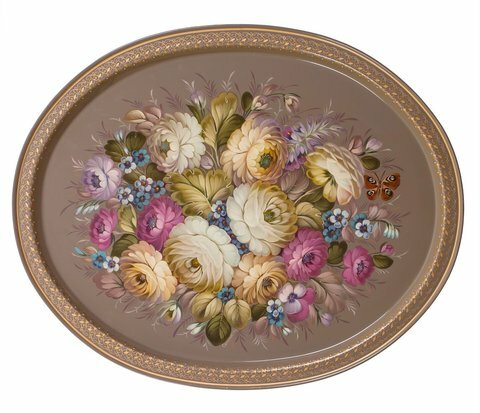 We will be glad to welcome you in our workshops where under the guidance of the experience painters you will apply the traditional Zhostovo painting techniques and create your own piece of art with a squirrel hair brush!